Seoul Fever: What's Your Style? 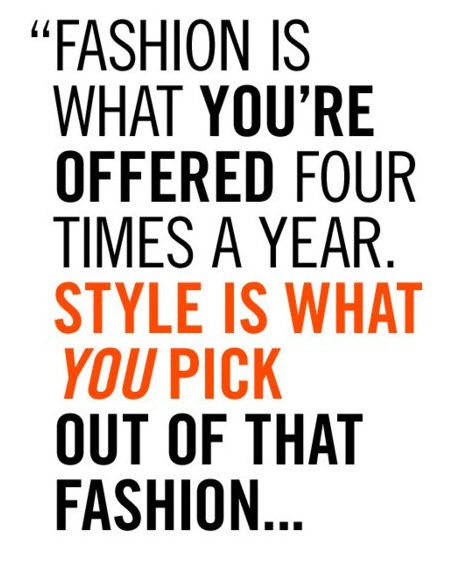 It is all about defining your style and having a clear picture in your head whenever you go shopping. Yes, seasons change, trends come and go, but your signature style stays. Every year you may update it with new items from trends that appeared on the runway. Still there are certain things that you hold dear to your heart: a LBD you know would immediately make you feel flattered, a denim shirt, whatever. Now that is a good start, take a piece of paper and jot down what kind of style you pursue. It need not be that hard. It can just be a picture of someone you think of as having impeccable style. It can be built on the very basics: jeans, white shirt, a simple tee, a blazer. Always, always start from the basics. That reminds me: Things look good on other people/ everybody wears does not necessarily work for you. Confidence is good, but I cannot stress humility enough these days. Again, look at the mirror and find out what works, and what does not. I would usually go for good quality clothes with basic forms and straight-up shapes, without too many redundant details - a fail-safe choice for many body shapes and types. What else. Uhm also except if you're Anna del Russo, less is definitely better. Elegance is always classic, whereas gaudy show-off has its limits. When you're 18, sure it's fun trying out new things, mixing and matching and making mistakes. But by the time you're thirty, being a fashion chameleon is not really the best idea. So in short, where do you start? 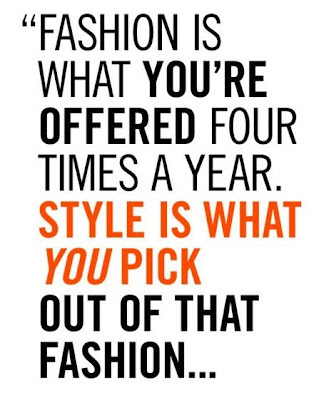 Define your very own style, list the items you think can build up such style, try them on to see if they work with your body. And then, have fun dressing up. Add a pop of color, buy a statement necklace. Do not go where everybody is going. Read some blogs, watch some style gurus. It is a constant process of learning and embracing yourself. Essentially create your identity, the image you want to broadcast to the world through your clothes.